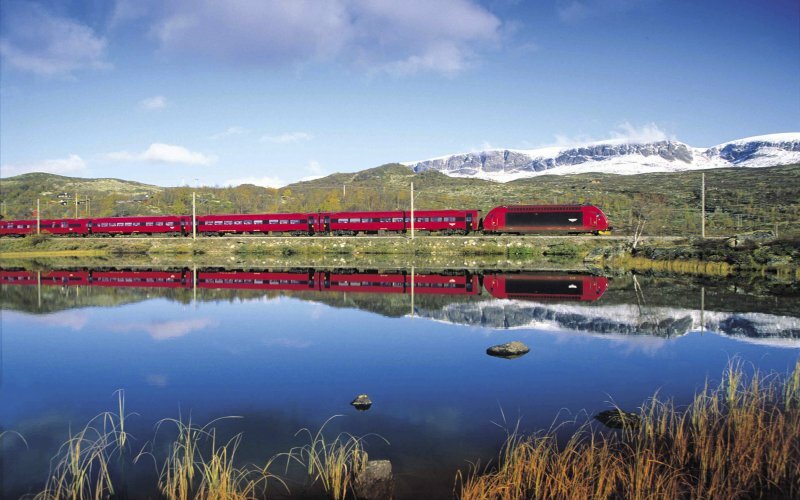 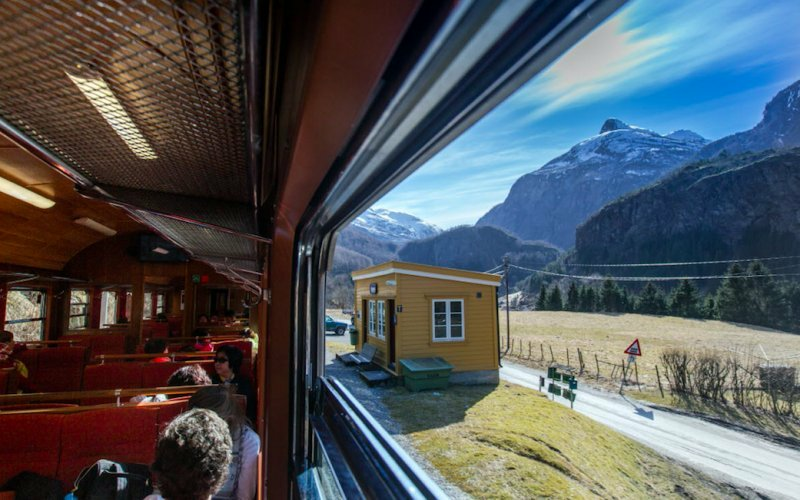 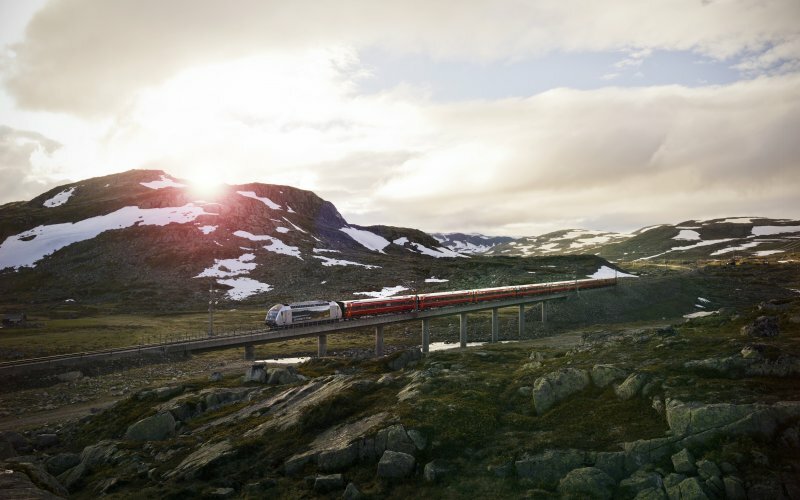 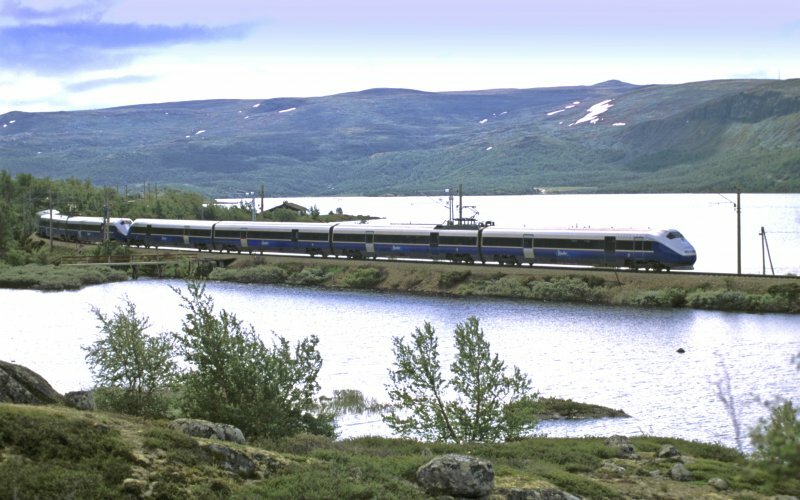 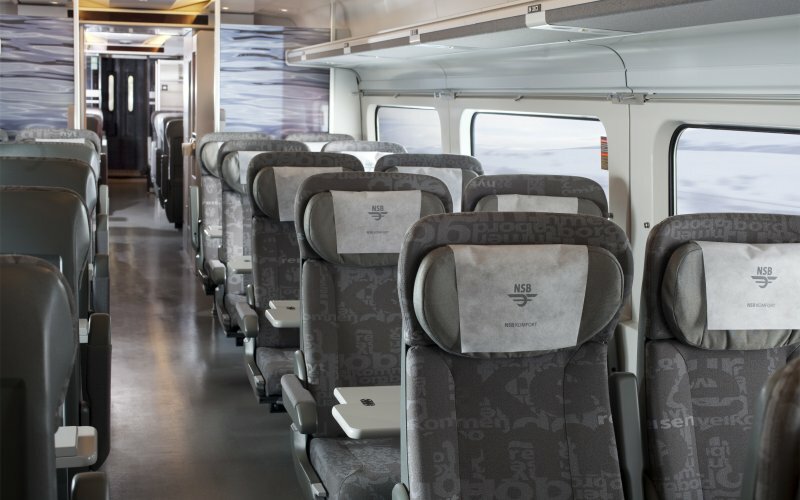 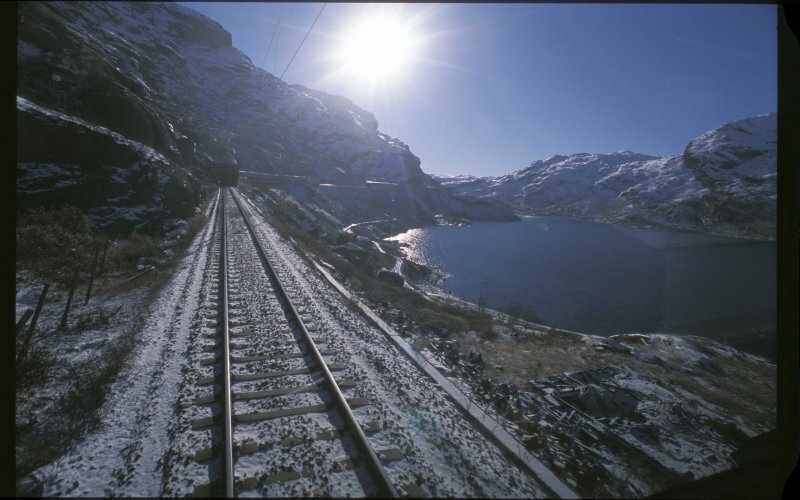 The train from Oslo to Bergen runs through the wild heights of the Hardangervidda with snow all year. 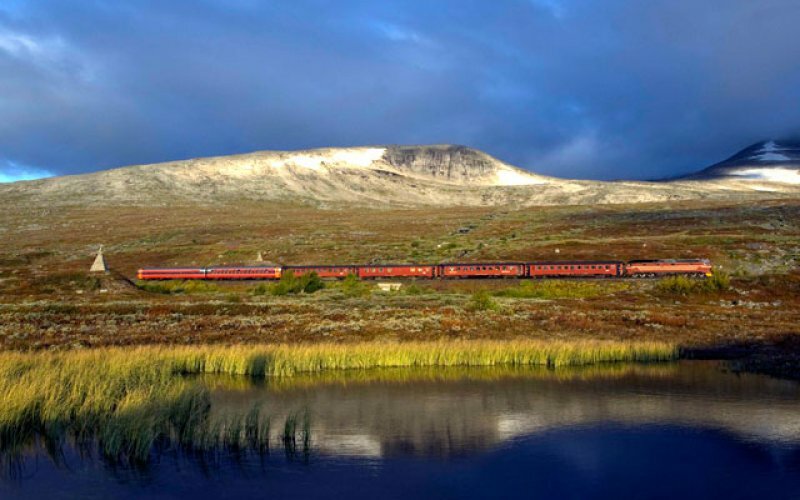 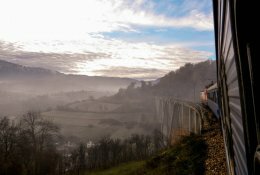 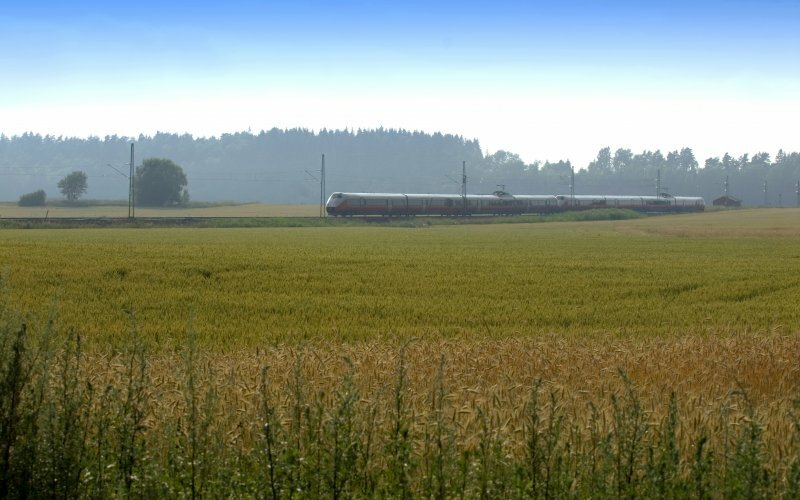 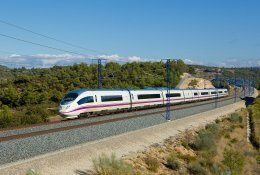 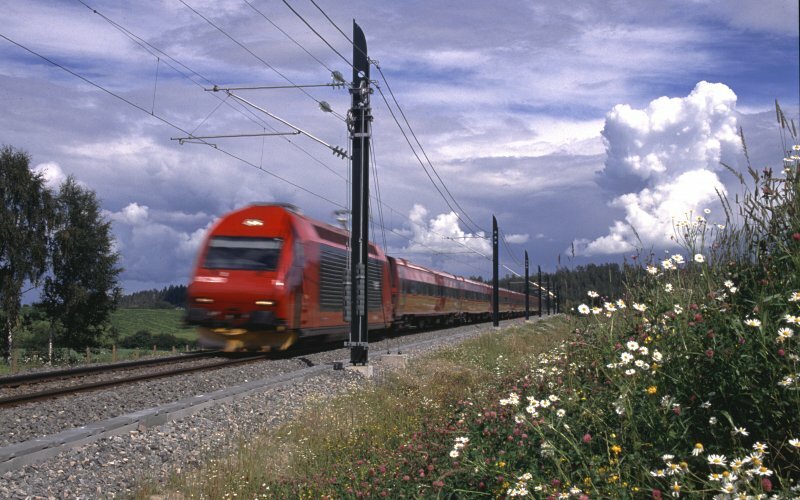 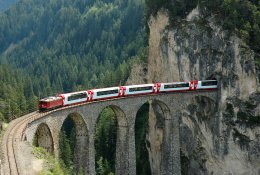 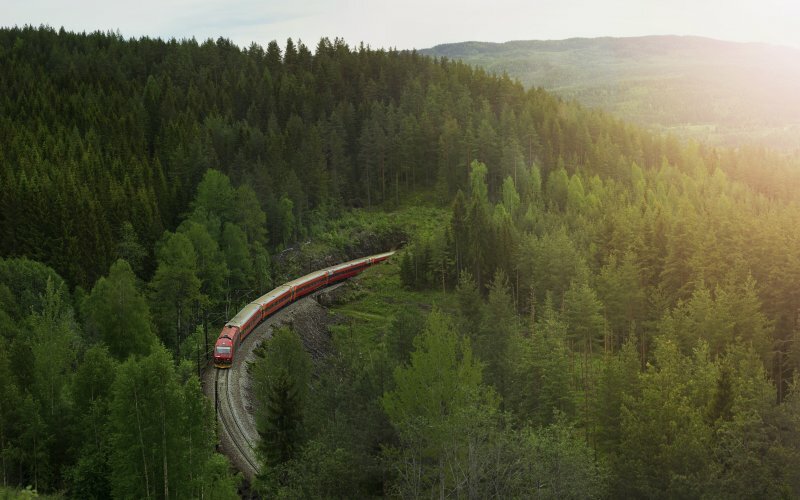 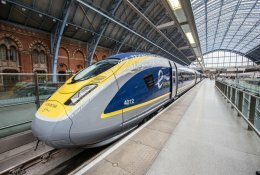 Flamsbana: one of the prettiest railways in the world. 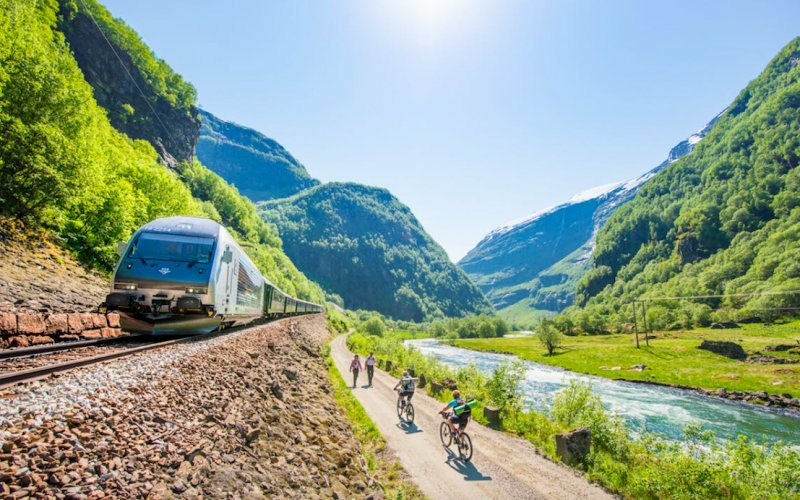 A descent of 800 metres in 20 kilometres, pasing water falls, snowy mountains; you always have magnificent views over the Sognefjord. 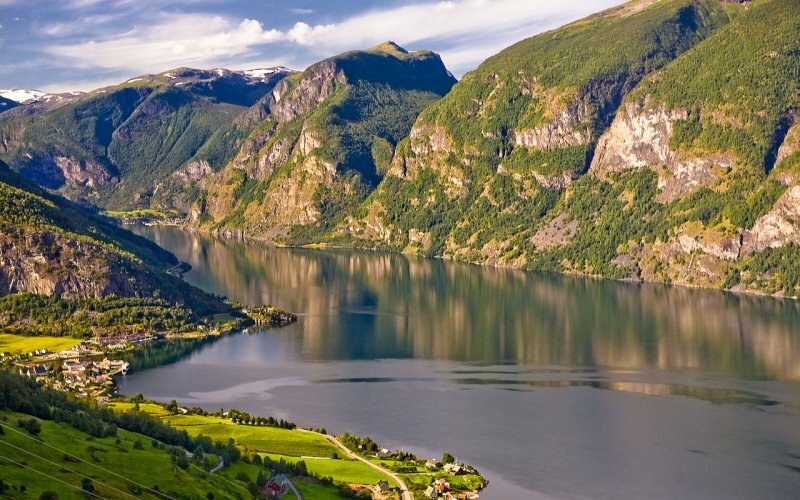 Travel by ferry through the narrow Naeroyfjord with walls up to 1000 metres high. 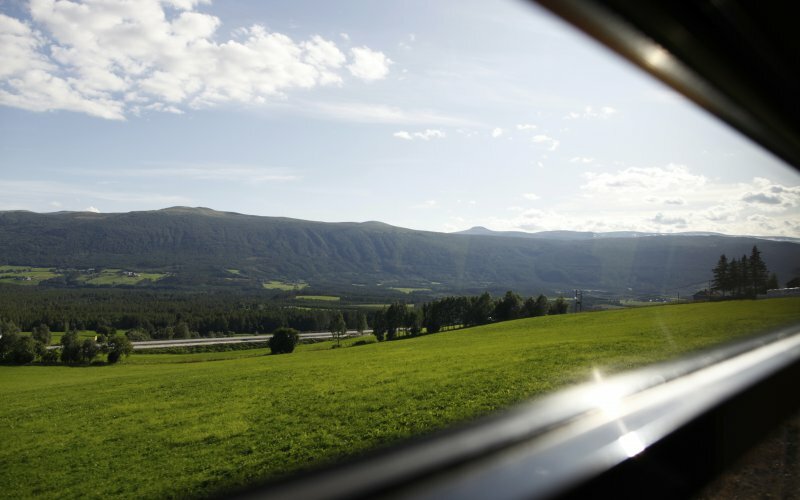 The bus from Gudvangen to Voss climbs the Stalheim Road, a steep mountain road. 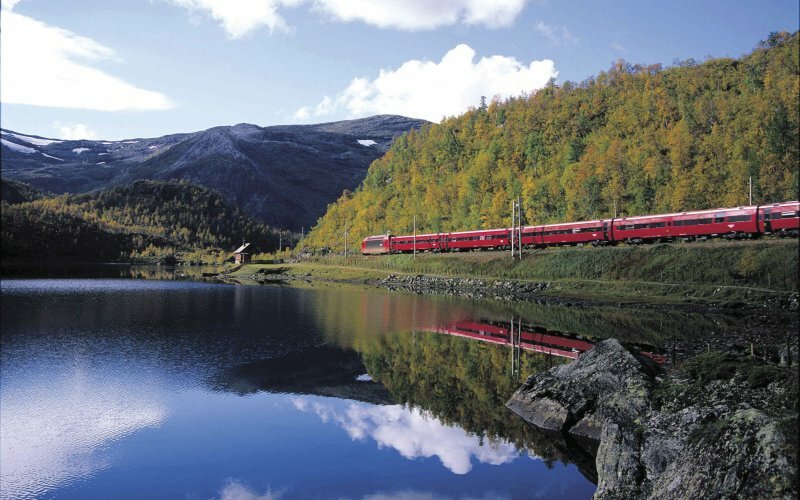 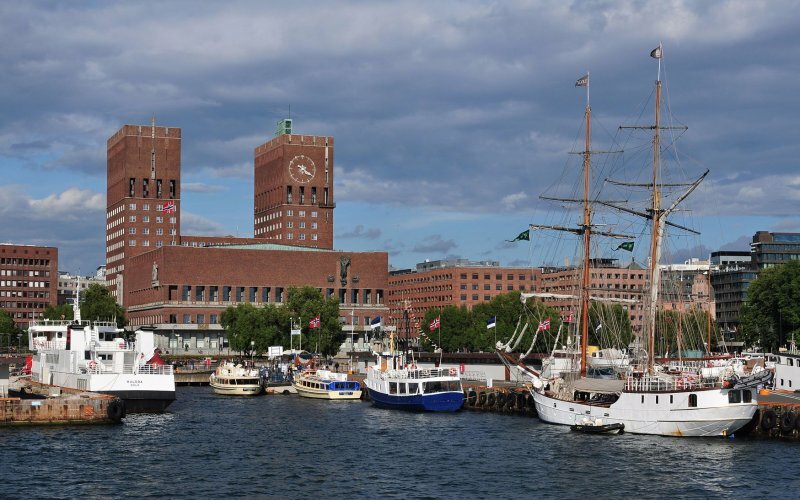 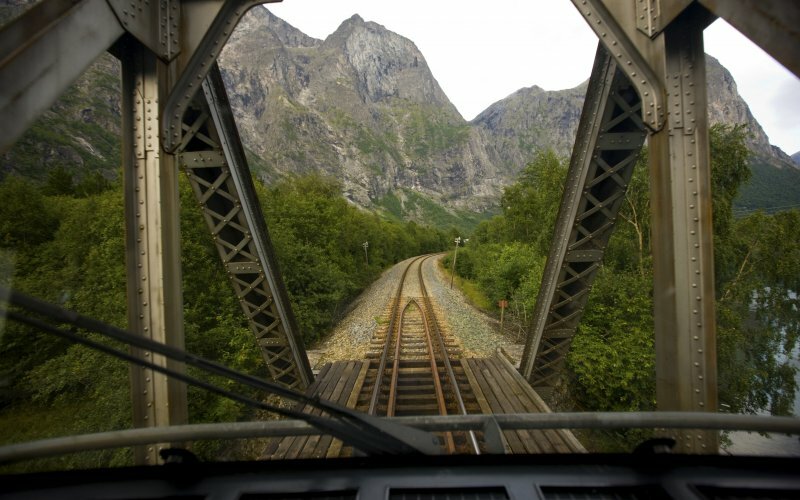 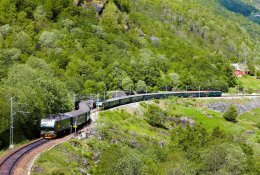 The last part is again by train on the famous Bergen railway route - beautiful part along the Sognefjord.